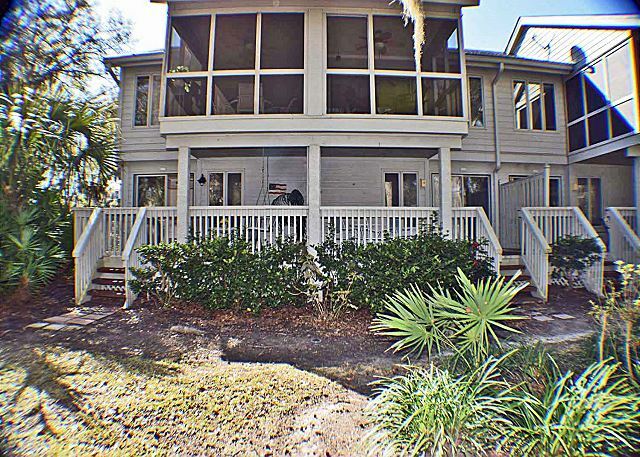 124 Windward Village is located in the beautiful gated community of Shipyard. 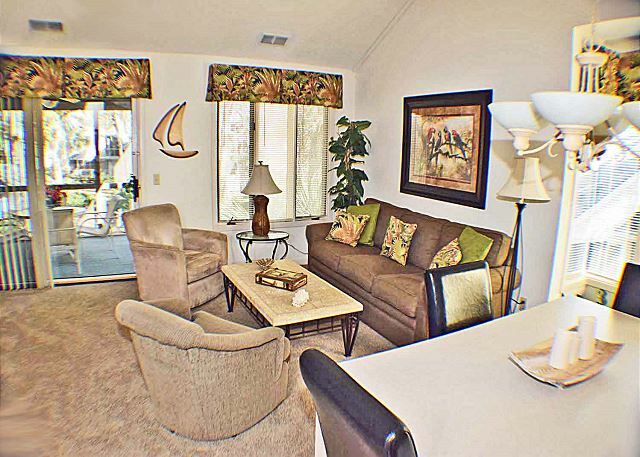 This 2 bedroom 2 1/2 bath townhouse has two master suites, making it perfect for couples. 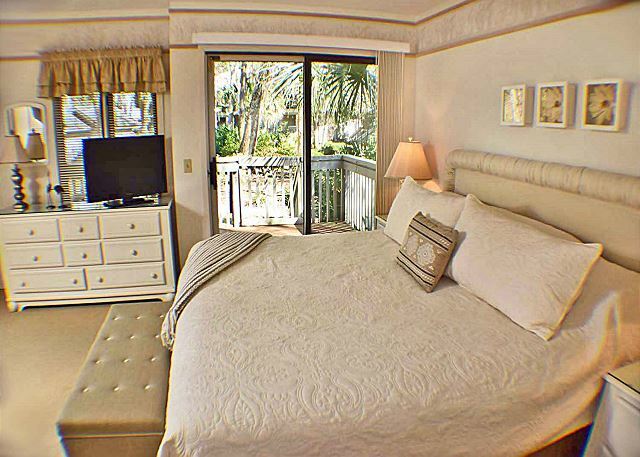 Each master suite has a king bed, flat screen tv, and a full bath with a shower/tub combo. 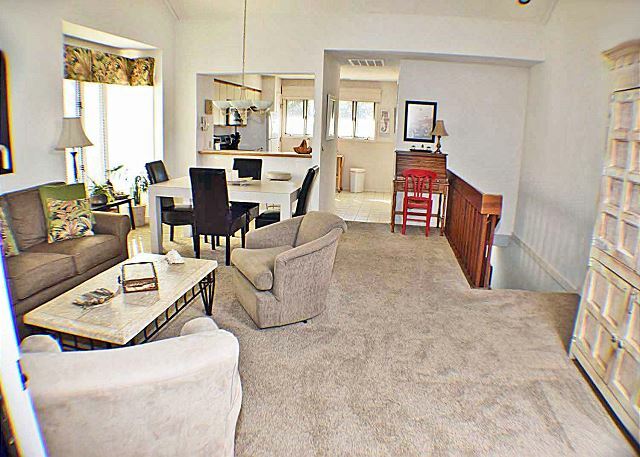 There is a half bath upstairs, with a spacious living and dining area. 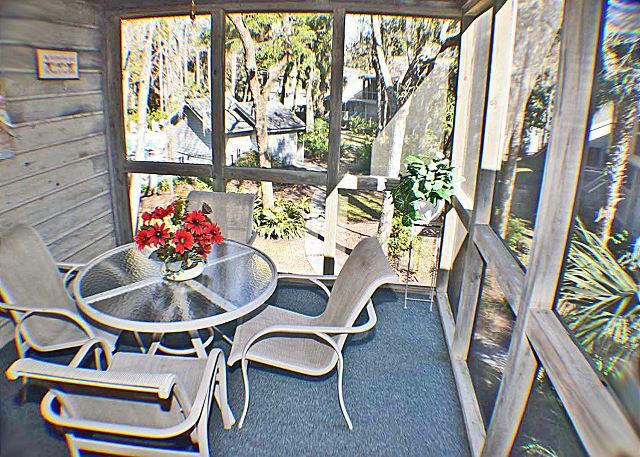 There is a nice screened in porch for relaxing or eating outside, it is located off of the living room. 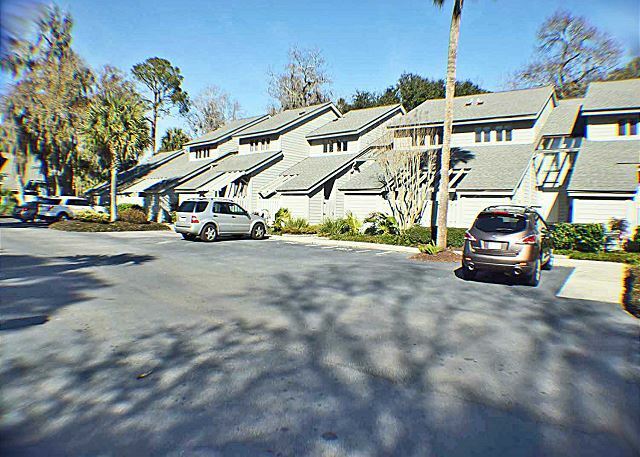 This townhouse is an end unit making it a quiet and tranquil getaway. 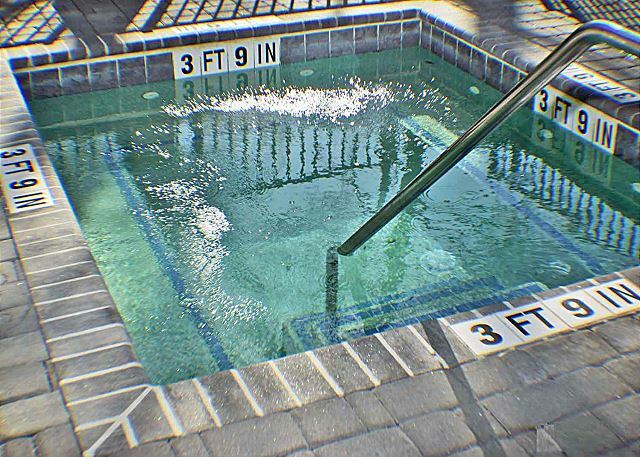 The pool and hot tub area is located just steps away. We had a wonderful experience. 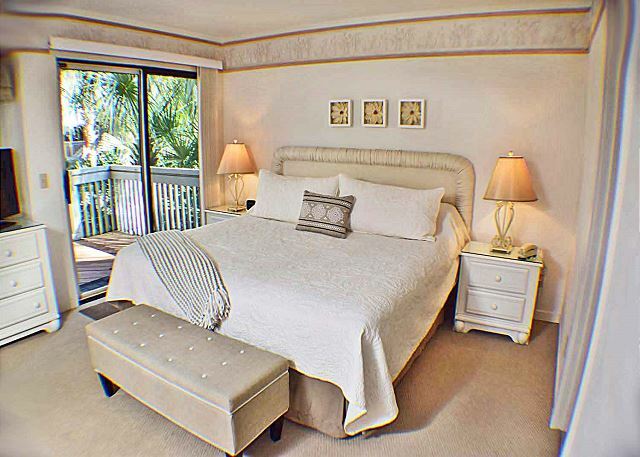 The condominium was clean, beautifully decorated and in a wonderful location. We would rent again. 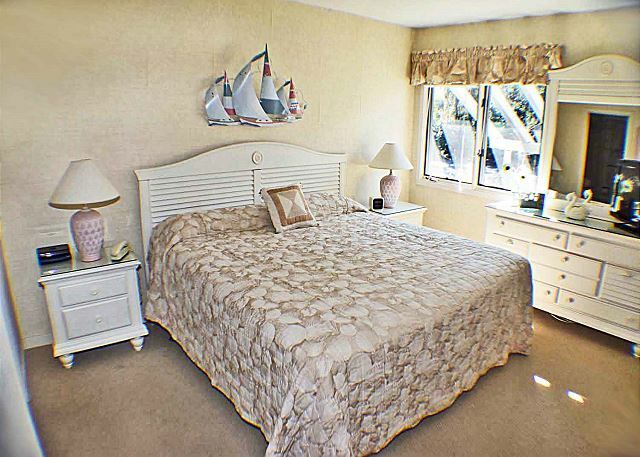 A major plus for our group was the presence of two bedrooms with queen beds rather than twins in one room, in addition to a pull out couch in the living oarea. The place was perfect for our stay. Check in and check out was extremely quick and easy. Communication was great prior to our trip as well. The one toilet needed fixed and the service was quick. We would definitely do this again. Thank you. 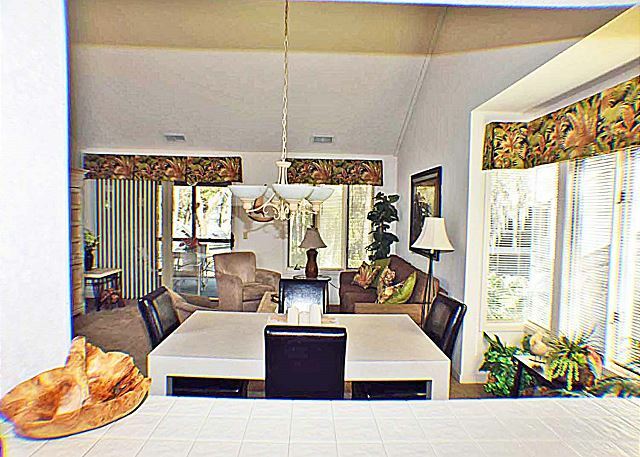 124 Windward Way was a nice spacious property. It was just what my family needed. 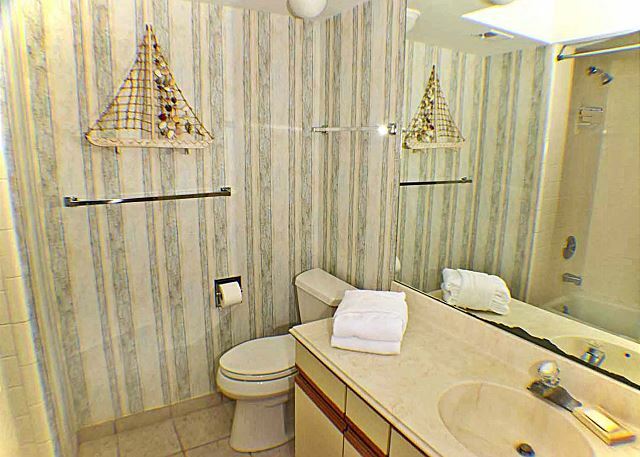 The condo contained all the standard amenities. 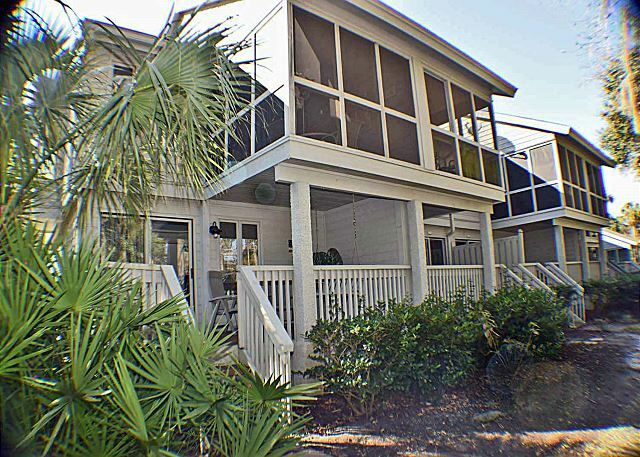 In addition, the property was clean and accessible to nearby restaurants and beaches. 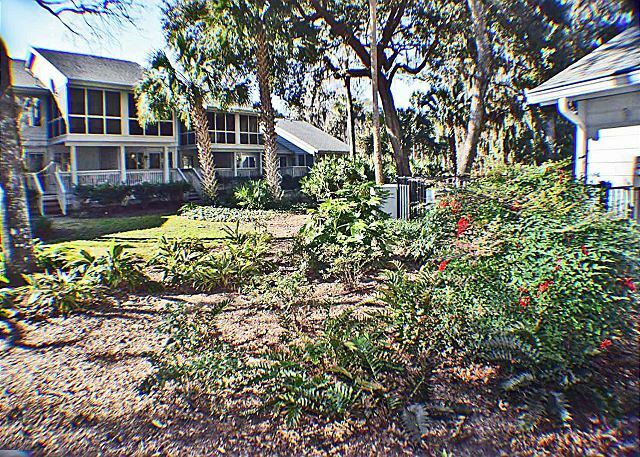 We enjoyed our 2-week stay at 124 Windward this past April. 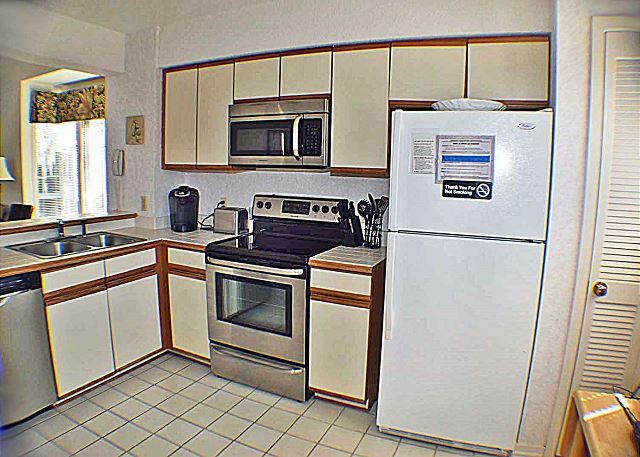 We have all positive comments about the furnishing and maintenance of the property, including the condition of the cookware and kitchen appliances. 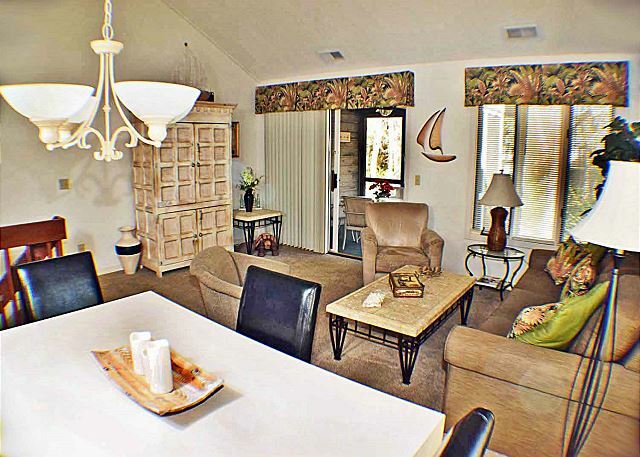 The folks at Seashore Vacations were a were a pleasure to work with attentive to any questions or concern we had. 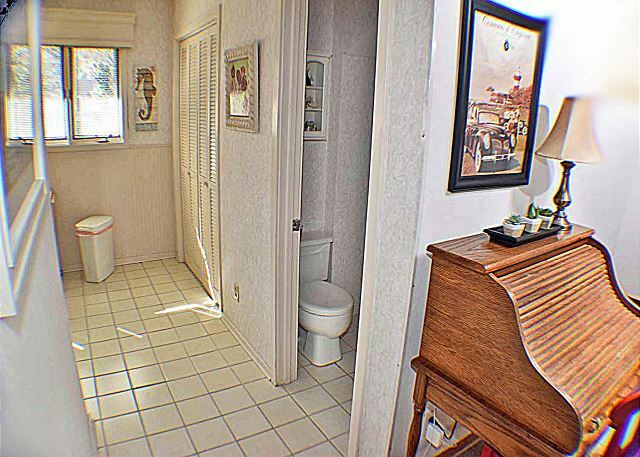 One recommendation we would make is to install higher seated toilets for us retired folks! We stayed here for four nights and were happy with the choice. The condo is very comfortable. It is a little dated, but we were very happy with the way it was equipped. 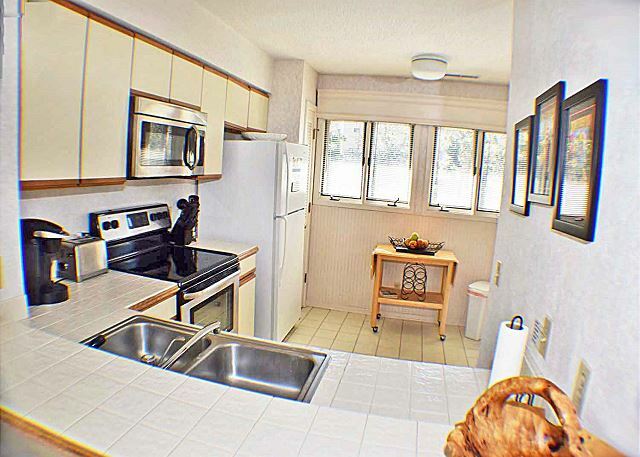 The kitchen had everything we needed and more, which is always a good surprise. We cooked in a couple of nights and had a good variety of pots and pans, as well as all of the silverware and utensils. Thanks for that! It would be nice to perhaps provide some tin foil or storage bags, but no big deal. In terms of location, the condo is very quiet. It is tucked out of the way, but still easy to get into and out of the complex. There are several restaurants not far away. The furniture was comfortable, and although we did not use the entertainment system, it looks like that was in good shape. One note to future renters. 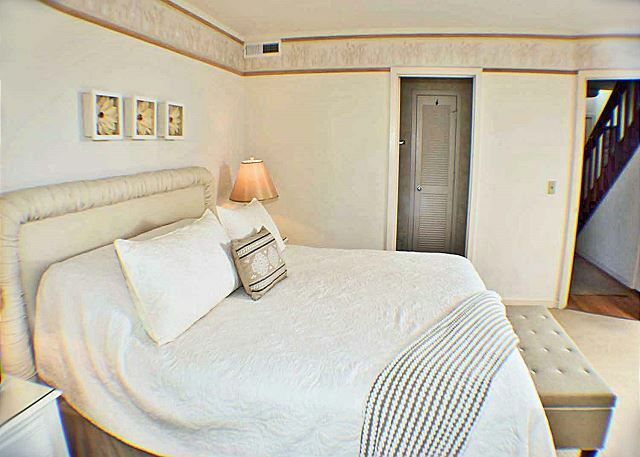 Entry is on the bedroom floor which is quite a bit cooler than the living area upstairs. It worked well for us because we liked the heat when we were just sitting around on some cool days. And then at night, sleeping was comfortable temps downstairs. 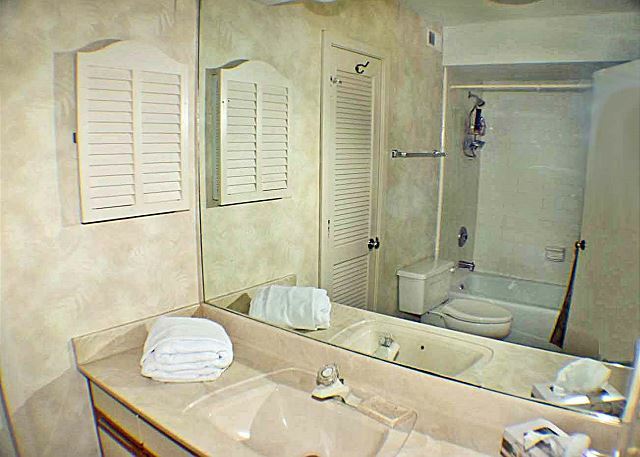 The bathrooms are small but just fine. I would stay here again without any hesitation. Pick up for the keys on a Sunday worked exactly as described without any hassle (other than the St. Pat's parade in progress). 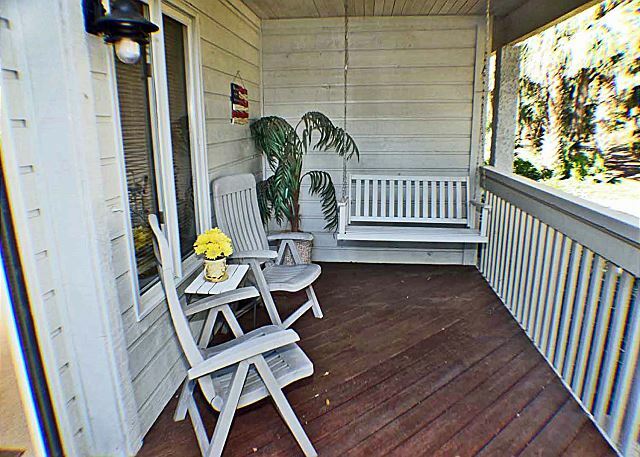 Great rental find on TA! 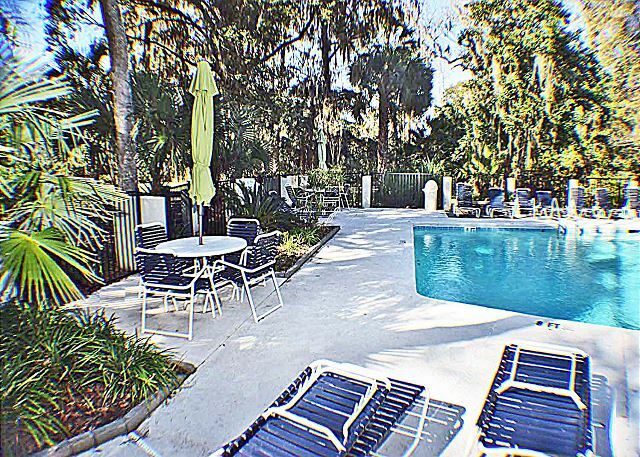 We were so pleased with this rental find on TA for our annual golf trip. From initial emails with vacation agency to check out, we had a great experience. 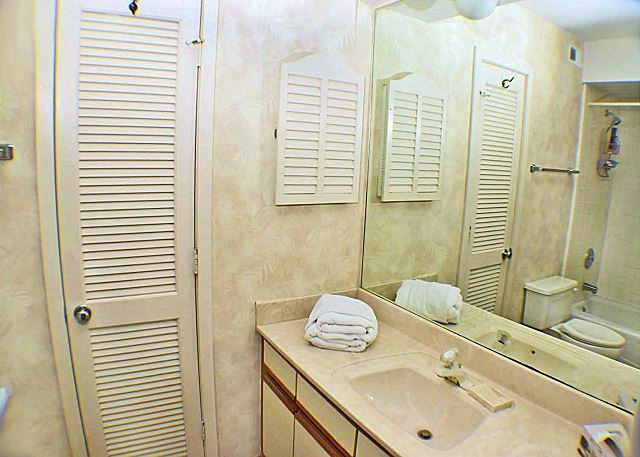 And most important, the rental was clean, well maintained, and nicely furnished. It provided everything we needed for our trip. 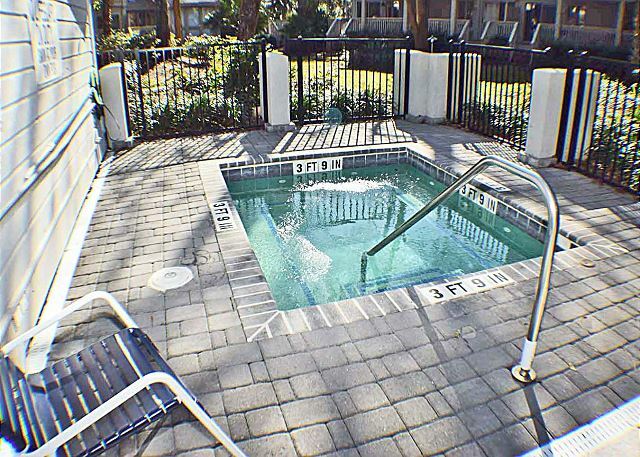 Restaurants and stores were close by and having the hot tub steps out the back door provided much needed relief after our daily golf rounds. 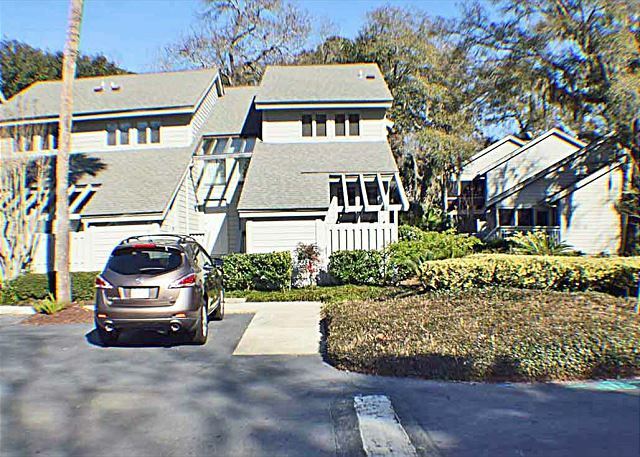 I definitely recommend this rental and I will look for it next time we visit Hilton Head! 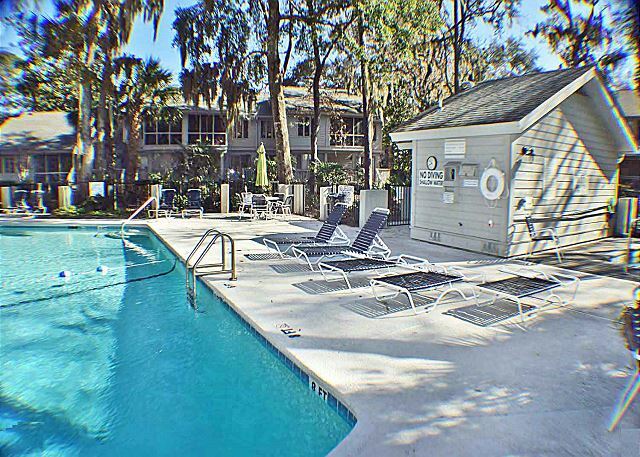 We travel to Hilton Head every month for work & this is a great condo!! I really enjoyed the swing on the covered patio!! 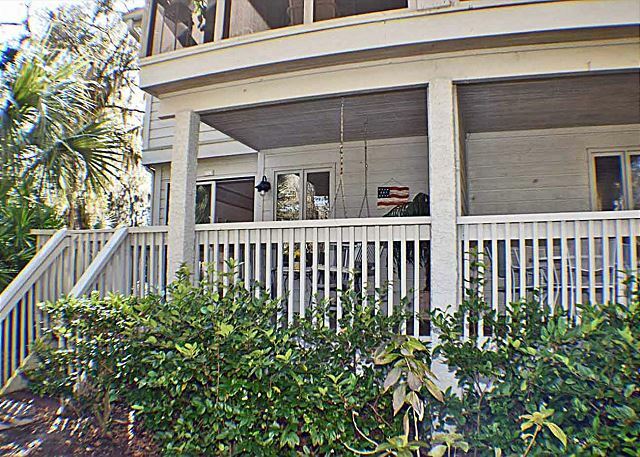 It's walking distance to the beach, Coligny plaza, and several other stores. 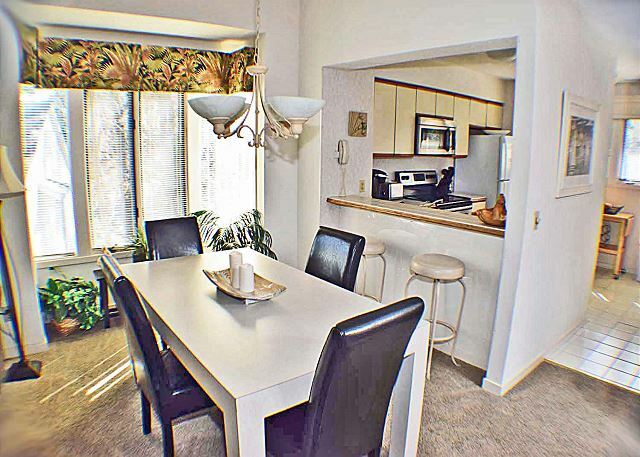 You can't go wrong with this condo, it's light, airy & very spacious. 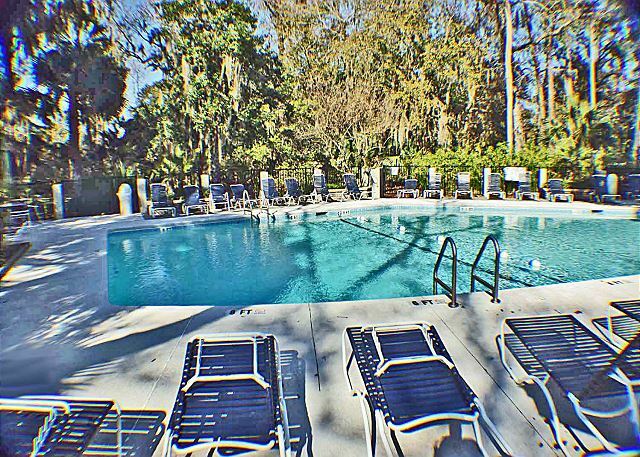 We always love our stay's at 124 Windward. 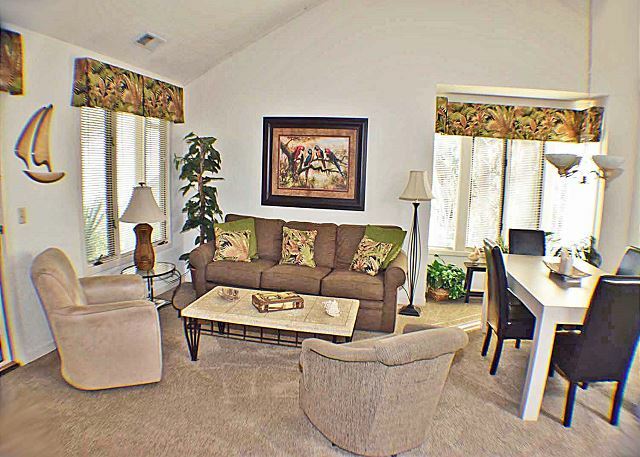 It's perfect for 2 couples since it has 2 master suites. 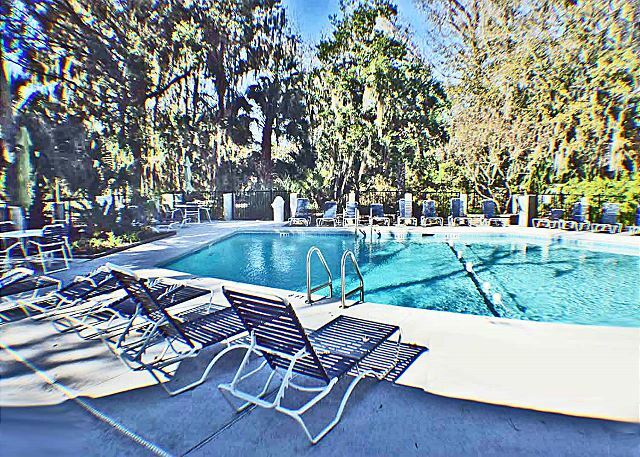 The location to the pool is great, it's close to all the Hilton Head attractions. 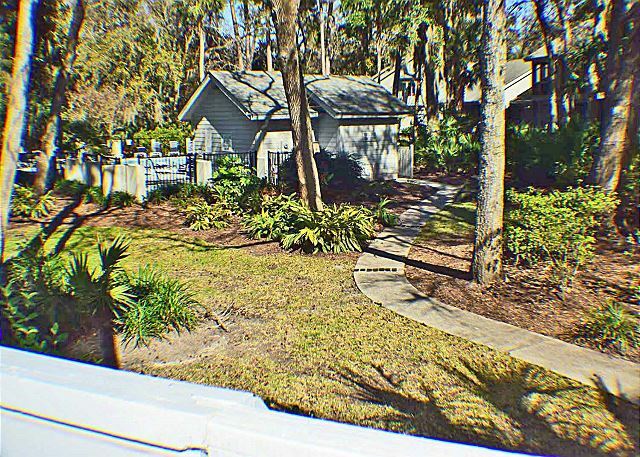 124 Windward has a fully stocked kitchen and with the screen porch we enjoy many wonderful meals just relaxing the enjoying the breeze.